They are pretty no-stress (and even more so when you don’t fuss with the egg whites at all!) – I love them and they are perfect for GF friends! Love the look of the almond on top! The almond on top is a nice touch. I took these to a party and was worried how plain they looked but they all disappeared. Kudos to you for baking at 7AM. 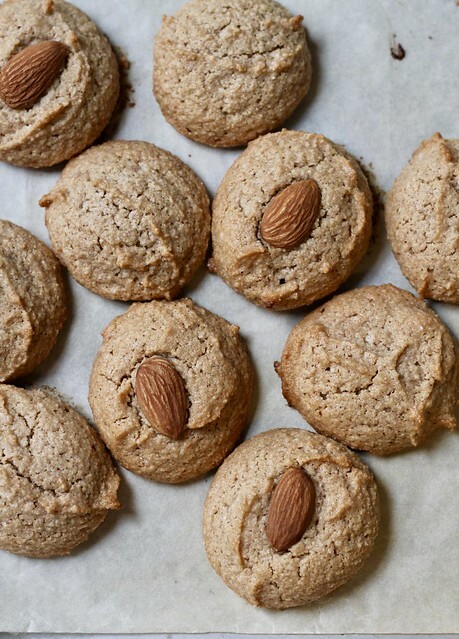 Love the almond on top – so cute.